The Baiji Dolphin, or the Yangtze River Dolphin, was once known as the ‘goddess of the Yangtze’. However, these fresh water species was dethroned by man by 2006, and was officially announced extinct by experts. From the late 1980s to the mid 1990s, the Baiji Dolphin population had significantly decreased by more than 75% (from 400 to 100 and less). A 1997 investigation had led to an astonishing finding of only 13 precious Baijis. The explanation for the Baiji Dolphin’s rapid decline owes to increased anthropogenic activities in the river – the construction of dams, overfishing and increased boat traffic, leading to frequent boat collisions and miscommunications for these blind dolphins who largely depend on echo-location for survival. In my previous post about the Amazon River dolphins, we see a parallel between these two species, who both rely heavily on sound, and whose existence was and now are currently threatened by anthropogenic activities. The extinction of the Baiji Dolphin calls for an immediate attention to save other species facing the same threat, including the Amazon River Dolphin and the Yangtze finless porpoise. Can we bring the Baiji Dolphin back to life after extinction? Carl Zimmer (National Geographic) explains De-extinction, and its scientific process with today’s technology. You’ve seen the movie Jurassic World and marvel at the science to recreate an extinct species genome and bring it back to life (Queue Jurassic World them song in the back ground). But is all that just a myth or a fairy tale? Well you better be ready, for scientist are currently making it come true. Carl Zimmer had the opportunity to interact with experts – geneticists, wild-life biologists, conservationists and ethicists, who discussed extraordinary advancements in “manipulating stem cells, in recovering ancient DNA, in reconstructing lost genomes”, coming to the exciting conclusion that De-extinction today is no longer just a myth. It is “now within reach”. As exciting as it sounds, the article explains further that De-extinction technology today however, can only be feasible for species that had died “within the past tens of thousands of years”, with specimens containing “intact cells” that is sufficient for reconstruction of a species genome. Dinosaur fanatics would probably have to wait for a few more decades when new advances in technology are made known to man, or a miracle find of the ancient Tyrannosaurus rex genome extinct 65 million years ago. Although De-extinction is the new cutting edge of science for humanity, the process and results are long and tedious, alongside a huge investment placed into the research project. 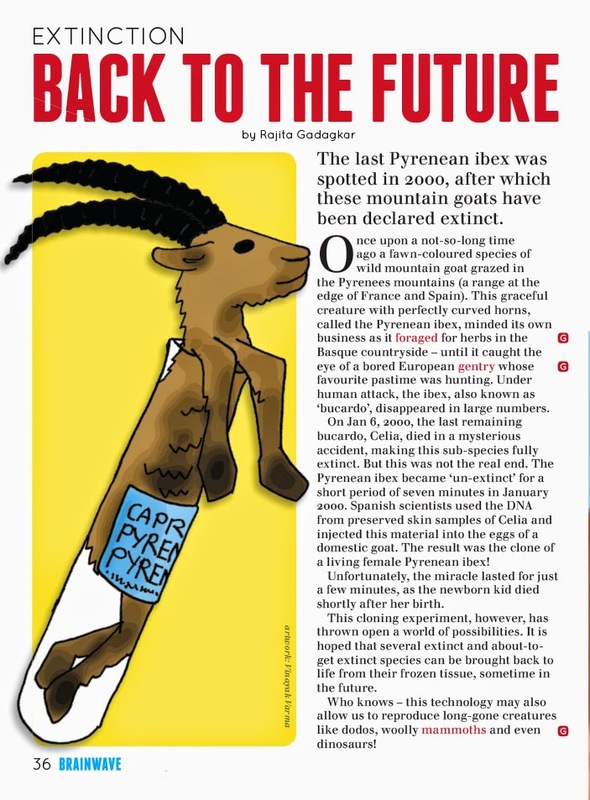 Our closest step towards De-extinction was in 2003 – where Spanish and French scientist managed to revive the Pyrenean ibex ( a wild goat known as the burcardo that was extinct due to over hunting), but only for a mere ten minutes. 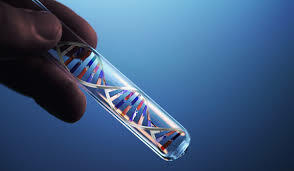 As you have learnt in your biology class, or heard about cloning of Dolly the Sheep, the process was similar, involving the transfer of the genome sequence, into a new cell (of a close relative) that had been shocked using electricity to remove its original nuclei. This embryo is then transferred into the womb of surrogate mothers. 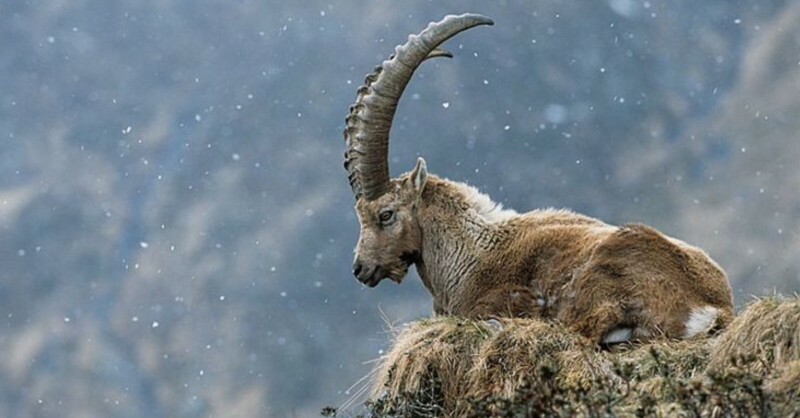 The whole process could take more than 10 years to complete, often with disappointing results, but a step closer to De-extinction. In addition, the article touched on an important point – why bother spending so much money on resurrecting extinct species when you can channel these resources to saving the endangered ones? The answer – we have the obligation to do so. The extinction of these species was largely due to careless and irresponsible anthropogenic activities, driving us further into the Holocene extinction. Through De-extinction, we not only correct our past mistakes, but also developing the technology that will enable us to help in the breeding projects of endangered species under the care of man. Furthermore, many other challenges still exist. Rehabilitated species like the Arabian oryx became critically endangered shortly after their release into the wild due to poachers. “The world wasn’t ready”, said biologist Struat Pimm of Duke University. Being able to revive the Baiji Dolphin is tough, and even near impossible despite advances in De-extinction, due to the harsh and inhospitable Yangtze River conditions. What can we do then? Start by acting responsibly, think before you act. Are we the earth’s greatest enemy and hypocrites?